Illinois State University received a grant of $1.4 million to increase the number of students from underrepresented groups seeking a STEM (science, technology, engineering, and mathematics) degree and a secondary teaching credential. 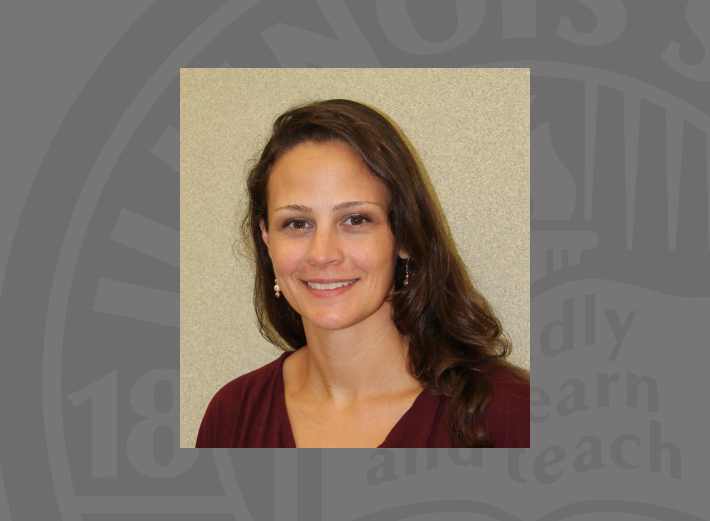 The $1,444,790 award comes from the National Science Foundation’s Robert Noyce Teacher Scholarship program, and was secured by Rebekka Darner Gougis, assistant professor in the School of Biological Sciences. With the funding, Illinois State University’s Noyce Scholarships for STEM Teachers of Under-Represented Groups will fund 40 scholars with $20,000 scholarships as Noyce Scholars along with the opportunity for research and teaching internship funding. The grant is a five-year, three-way partnership with Illinois State University, Joliet Junior College, and Valley View School District to recruit sophomore junior college students to Illinois State University to become Noyce Scholars and earn a degree as a STEM major and a secondary-teaching credential; and to interest middle school students in STEM careers. With funding from the National Science Foundation’s Robert Noyce Teacher Scholarship program, Illinois State University’s Noyce Scholarships for STEM Teachers of Underrepresented Groups is recruiting undergraduate STEM majors in agriculture, biology, chemistry, earth and space science, mathematics, physics, technology, and engineering, and preparing them to become grades 9-12 science or math teachers. A previous Illinois State Noyce program centered on urban high-need schools in the city of Chicago. Ninety-four percent of the graduates are still teaching in these high-need urban areas. The current project will enable Illinois State to use the lessons learned from that urban-based project to expand their efforts to serve suburban high-need districts. The full efforts of the grant will begin in February 2016 and run through January 2021. Any idea when or how the scholarship application process will begin? Applications are now being accepted. You can visit isunoyce.org to learn more.